Did you know that you can make baked potatoes in your slow cooker? 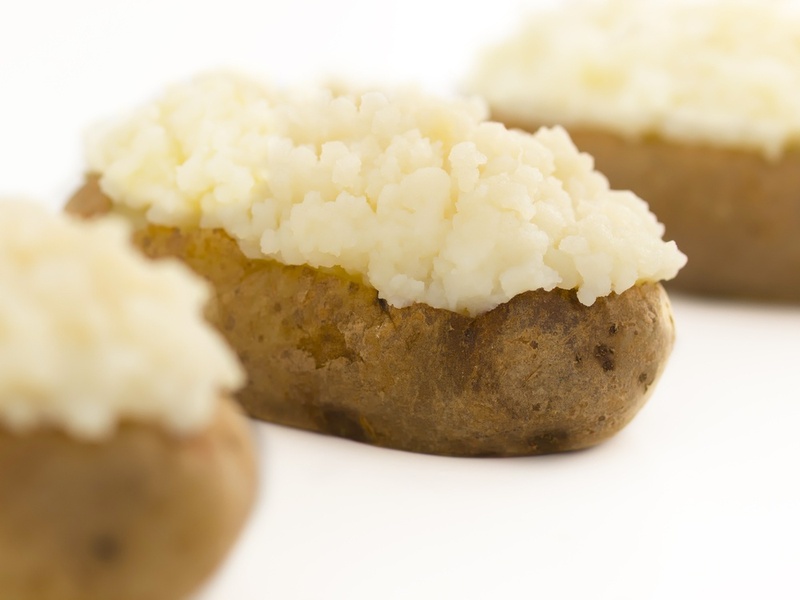 Here is a super easy recipe for crock-pot baked potatoes made with olive oil. Prick washed potatoes with a fork several times. Rub potatoes with extra virgin olive oil (let potatoes dry before applying olive oil). Place the potatoes into a slow cooker, cover and cook on high for 4-5 hours or on low for 7-8 hours until tender. To serve, create a dotted line from end to end using a fork and squeeze the ends together. The seam will pop open. Watch out for hot steam! Drizzle extra virgin olive oil and flaked salt over the potatoes and enjoy!